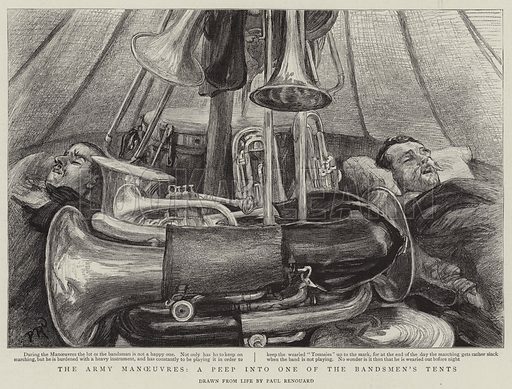 The Army Manoeuvres, a Peep into one of the Bandsmen's Tents. Illustration for The Graphic, 26 September 1896. Available worldwide for immediate download up to 5,329 x 4,051 pixels.